Associate Justice Teresita Leonardo De Castro is more than qualified to replace Ombudsman Conchita Carpio-Morales, retired Associate Justice Arturo Brion said, who nominated De Castro as Ombudsman Chair. She is currently the head of the Philippine Women Judges Association (PWJA). 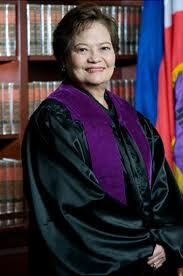 De Castro on the hand have to submit her conformed letter to accept the nomination, as part of the requirement of JBC.